When the U.S.S. Voyager is dispatched on an urgent mission to the planet Kerovi, Captain Chakotay and his first officer, Commander Thomas Paris, must choose between following orders and saving the lives of two of those dearest to them. B'Elanna Torres and her daughter, Miral, are both missing in the wake of a brutal attack on the Klingon world of Boreth. With the aid of their former captain, Admiral Kathryn Janeway -- as well as many old friends and new allies -- Voyager's crew must unravel an ancient mystery, placing themselves between two warrior sects battling for the soul of the Klingon people ... while the life of Mirl hangs in the balance. But these events and their repurcussions are merely the prelude to even darker days to come. As Voyageris drawn into a desperate struggle to prevent the annihilation of the Federation, lives are shattered, and the bonds that were forged in the Delta Quadrant are challenged in ways that none could have imagined. 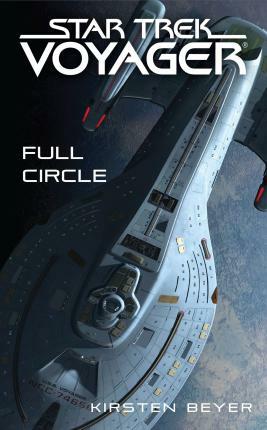 For though destiny has dealt them crushing blows, Voyager's crew must rise to face their future ... and begin a perilous journey in which the wheel of fate comes full circle.